Beyond Labels & Limitations | What Is Your Life Devoted To? BL&L, an organization established to raise money dedicated exclusively to Limb-Girdle Muscular Dystrophy 2A (LGMD2A) and to educate on the disease course and associated struggles of LGMD2A, as recounted through my personal experiences. In 2007 when BL&L was established we wanted the organization to look beyond the current status in both the course of the disease and perceptions of what’s to come; to believe there is a cure out there and we’ll find it; and in hope for what’s to come in the future. The LGMD Genetic Testing Program announced the release of a new diagnostic program. 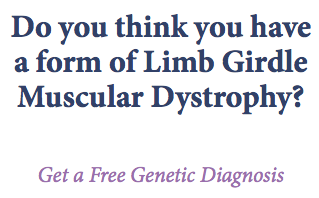 Several LGMD family foundations have teamed up to create a new website where undiagnosed individuals with a muscle problem can take a quiz to see if they qualify for free genetic sequencing, sponsored by our consortium of foundations. Sequencing includes 35 genes causing LGMD and other muscular dystrophies. Currently, only US residents are eligible for free sequencing but if the program is successful, we plan to expand internationally. We would like to thank “Houser Plessl Wealth Management Group” for once again being our main sponsor at this years’ 9th Golfing For A Cure golfing event. We would also like to thank all of our hole sponsors for making this years’ event a successful one. Together we raised $3,700.00!